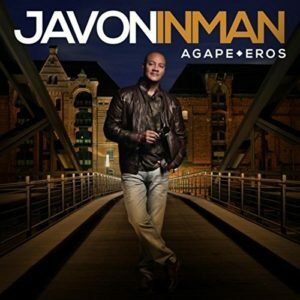 Javon Inman ladles an ample serving of amor into Agape * Eros, a 40 minute musical journey into the realms of spiritual and human love. Agape * Eros reminds me of Fred Hammond’s 2012 offering God, Love & Romance. 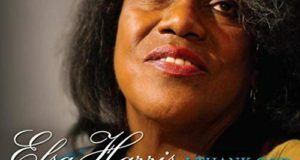 If Hammond’s release was a tad controversial at the time (truthfully, though, there’s been tension between agape and eros in gospel music for a while), combining sacred and human love on one album is all but de rigueur today. To make sure nobody mistakes his intentions, Inman takes a few minutes halfway through the album to explain his purpose. After distinguishing between agape love (compassionate, sacrificial) and eros love (passionate, romantic), Inman argues that there is no real separation between the two because God, “the author of romance,” gives us both. This introduction leads to a series of songs about love between two people. 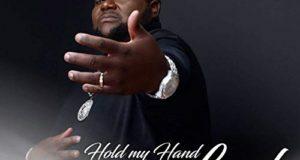 The quiet storm-y “I Still Love You,” features Inman and Michelle Carter-Williams duetting as a couple in love with one another, despite the many annoying things the other does. On “Beautiful Girl,” Inman channels Prince by wrapping his passionately fierce falsetto around love lyrics and an interesting melody. 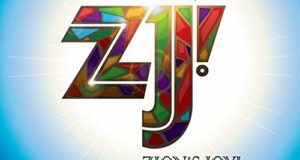 The sound quality of Agape * Eros is top-shelf, thanks to the production talents of Clifford R. Flowers Jr., Allyn Johnson, Lorenzo Johnson, Tone Jonez, and Inman himself; and mixing and mastering courtesy of Studio 51 – Brad Baerwald. Whether or not you agree with Javon Inman’s purpose for the album, his point is well taken: if there’s one thing we need more of, it’s love—of any kind.